We just wrote an article about the causes of rosacea and recommend a few creams for redness issue skin. Today we are going to put it more about how anti-redness products work. As we know, rosacea is more likely to bother people who have sensitive skin, so we will focus on anti-redness products for sensitive skin specially. The popular treatment tend to apply antibiotics in product formula, such as: tetracycline, metronidazole or doxycycline. A proper cream or serum for sensitive skin type, first of all, must protect your skin from UV harm. It should be able to provide a vaso-constriction of superficial blood vessels to prevent red blood cell destruction, and improve the dermal thickness of facial skin. Moisturizing, as the basic function of a cream and serum, is more important to sensitive skin than other types. To provide useful product reviews, we have tried the following anti-redness products and wrote down the using experience for you to choose one fit for your skin situation best. Oringins is a skincare brand of Estée Lauder Group, whose commitment is developing skincare powered by nature. 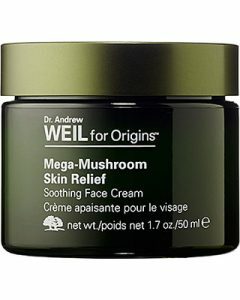 This skin relief cream is formulated with Dr. Weil’s signature mushroom blend. Reishi mushroom have a 7000 year history of use as believed to have life-extending properties. This cream have noticeable effect on visibly reduces redness and sensitivity. Even sensitive and reactive skin are available. La Roche-Posay is a dermatologist-recommended skincare brand whose products cover the needs of repairing various skin issues. 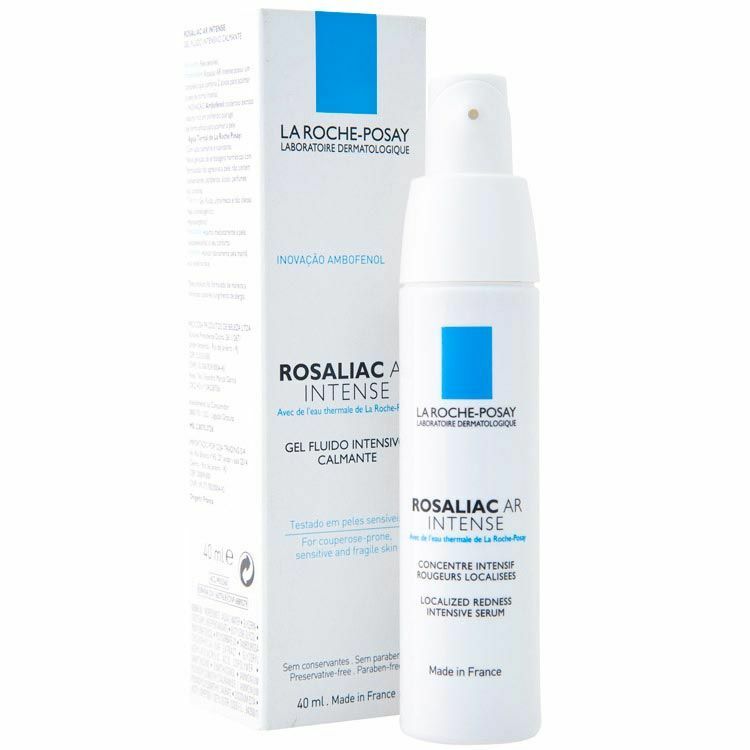 Rosaliac AR Intense is a daily formula combining La Roche-Posay Thermal Spring Water and many other natural ingredients to help visibly reduce the appearance of redness. It is light and fresh, you can feel moisturized and calm after the serum sinking in your skin. If you think your rosacea needs dermatological product care, La Roche-Posay is a reliable choice. It is known to all that Avène has over 270 years of expertise in sensitive skincare products. What this cream can bring you is not only neutralizing visible redness, minimizing the red spot and smoothing skin surface. The exclusive Avène Thermal Spring Water can definitely repair your skin inside out and provide your face a healthy environment. If your skin is allergic to many other creams, you should try Avène. This moisturizer with relatively thick texture and light green tint is set to instantly calm redness and smooth fragile skin. Applying it in the long run, the cream can effectively combats visible redness. This cream is of oil-free formula and extracts of green tea and Vitamin E, while caffeine and algae extract. Your skin will feel easy to absorb and no stimulation. As with SPF 15, this day cream can provide you with sufficient commuting sunblock. As far as we found, it is friendly to all skin types. 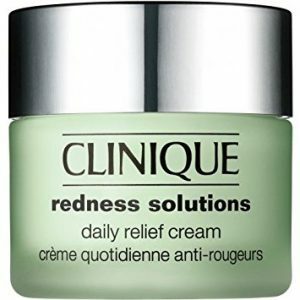 To get CLINIQUE 3-step redness solution for better care.